Pain when walking or standing can be difficult to manage. Discomfort in the ankles and feet may have any number of causes, including: a pulled calf muscle, weak ankles, plantar fasciitis, ligament difficulties, a foot sprain or problems with the Achilles tendon. Whether your situation is ongoing or sudden, Mill Creek Foot & Ankle Clinic is equipped to solve the issue. We now proudly offer PRP treatment or platelet rich plasma injections in Lake Stevens that can be achieved in only one visit to our office. Dr. Hall has successfully treated over 100 individuals with PRP. He is currently studying the use of PRP for chronic arthritis in the joints. When there is an injury to the body, internal systems take charge and initiate a healing cascade process which occurs in 3 stages. For the first week after the injury, the damaged area becomes red and swollen due to the gathering of blood platelets to begin repairing the tissues. Next follows the reparative phase. Scar tissue and collagen are distributed all over the injury for about 8-12 weeks. Lastly, the remodeling or regeneration phase takes over. The body breaks down scar tissue and transforms the hurt tissues in a 6-month period. If treatment is not quickly administered after an injury, the healing cascade process is interrupted. The body then enters the quiescent phase where it “gives up” on repairing the tissues. The ill-fated result is lingering pain in the injured part. An injection of platelet rich plasma right into the damaged tissue boosts the healing progression again with the inflammatory phase. The objective is for the body to conclude the healing sequence to eradicate pain. The PRP procedure is straightforward. Dr. Hall will draw a vial of blood, which will then be placed in a centrifuge. This apparatus will separate the whole blood from the platelet rich plasma. An anesthetic will be administered to your ankle or foot and the PRP will be inserted directly into the damaged tissue. It is necessary to mobilize the treatment area in a boot for about 1 month. 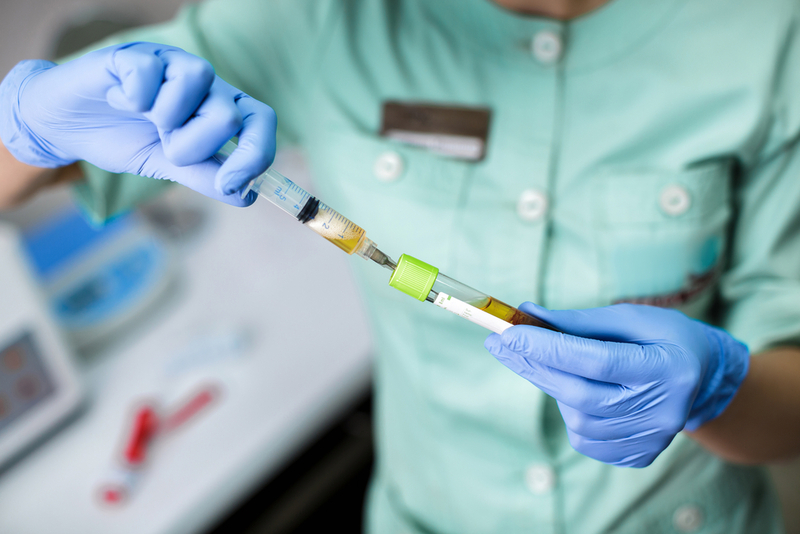 Schedule an appointment today for your platelet rich plasma injections in Lake Stevens by calling Mill Creek Foot & Ankle Clinic at (425)482-6663.